The capital city of Malaysia bestows an ultramodern charm and is comprised of a wide range of tourist attractions. With a visit to this stunning destination, you are going to have complete fun. With this exclusive and magnetic 4 nights’ holiday package, you will get to explore the beautiful city of Kuala Lumpur in Malaysia. explore the tourist attractions of the city with half day sightseeing tour and other specific locations in and around the city like, Genting Island. So, what are you waiting for? Book this tour now! Visit the tourist hotspot of Malaysia that offers a number of holidaying opportunities. Book this tour package and indulge into ultra modernism of its two stunning cities. Penang & Kuala Lumpur are two stunning destinations that attract tourists with its unparallel charm. Enjoying a pleasant culture and offering perfect opportunity for travel and tourism, Malaysia becomes an ideal tourist destination for you. Visit Malacca & Kuala Lumpur with this tour package and indulge into history, heritage charm and other appeal of the city. The place attracts a number of tourists for holidaying. With this tour package, visit the country like never before. Visit Langkawi and Kuala Lumpur - two of the most thrilling destinations in Malaysia with this tour package and enjoy a memorable holiday. Unlimited experiences are waiting for you in Malaysia. Be ready for enjoying excellent diving opportunities with this tour package. Langkawi is a place for duty-free shopping and Kuala Lumpur is a real cosmopolitan bringing numerous tourism opportunities for its travelers. 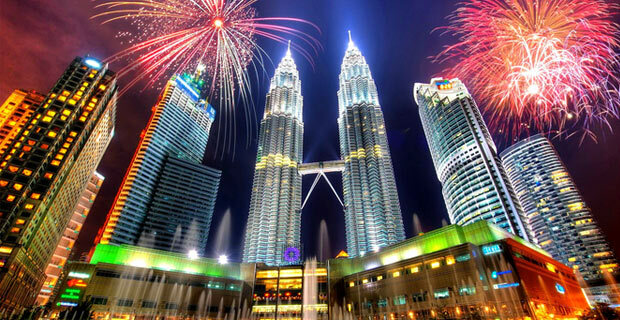 Enjoy lots of holidaying opportunities in two ultramodern cities of Malaysia. Book this holiday package and go for a lifetime experience. 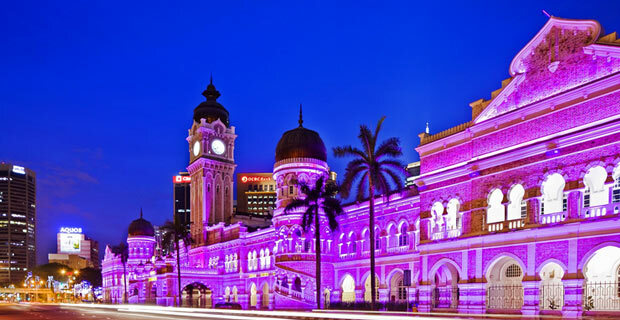 Johor Bahru and Kuala Lumpur are included in this tour package to give the visitors an unusual experience. This real time cultural hotspot has a lot to offer to its visitors. Enjoy a vacation like never before. Visit a kaleidoscope of cultures, crafts and cuisines – Kuching and the true cosmopolitan of Malaysia – Kuala Lumpur with this tour package. The real time fun is included in this holiday package. With this tour package of Langkawi & Kuala Lumpur, visit Malaysia in an awesome way and enjoy holiday like never before. Both of these cities have their own specialty that can be witnessed on your trip. Enjoy the wild adventures of Malaysia during your visit to Taman Negara – an ideal destination for having wildlife experiences in the lap of nature. Visit a place where nature meets with peace and assures the visitors a relaxing and exciting stay. The exclusive tour package takes you on a trip to two great countries of Asia. The vibrant, ultramodern and lively destinations offer a perfect amalgamation of culture, shopping & tourism opportunities. Simply explore them with this tour package. Visit Penang with Cruise taking this tour package and enjoy wide range of entertainment and recreational activities. On the beaches of Penang, go for a simply unparallel experience. Don't lose the opportunity of visiting these stunning destinations including Kuala Lumpur, Genting and Langkawi. The tour package brings a number of exciting holiday experiences for its tourists that can be cherished forever. Offering dazzling diving opportunities, Eventful Malaysia turns into a package that is simply incredible in every sense. Enjoy wonders of Malaysia and visit destinations including Kuala Lumpur, Genting and Langkawi. Enjoy all the ingredients of a perfect vacation with this tour package and enjoy white sand beaches studded with palm trees. The package has everything ranging from fun to entertainment. So, book without any delay. The tour package brings to you an opportunity of visiting some of the best destinations of Asia. Have a visit to Malaysia and Bali and explore a number of tourist attractions on this holiday. The tour package brings exceptional diving opportunities along with exciting holiday and duty-free shopping. It is more than just a capital city which is dominated by the tallest skyscrapers in Southeast Asia.